Our staff have been hard at work in Olympia this month, meeting with state legislators and colleagues in the conservation and ranching communities to provide input on legislation that continues to support the sustainable recovery of wolves in the Northwest, while also addressing the concerns of folks who live, work and recreate in wolf country. As of Tuesday March 3rd, we are continuing to support Substitute House Bill 1676; funding new studies that help the state and other stakeholders better understand the impact wolves have or do not have on deer, elk, moose and other ungulate populations. Carnivore recovery and management needs to be successful for all wildlife, including ungulates and other prey species. Solid scientific data helps make reaching that goal possible. This legislation was strengthened by involving the University of Washington predator ecology lab and specifying the type of peer review that the study will use. We remain strongly in opposition to Senate Bill 5583; opening up state endangered or threatened species, including but not limited to wolves, to regional or local delisting and the premature removal of protections needed for their recovery. Several other wolf-related bills did not pass out of committee prior to the cutoff, and are now effectively dead for this session. The other wolf legislation that remains active is SB 5960 / HB 2107. While we opposed the initial iteration of this legislation, discussions among Representatives Lytton (D-Anacortes), Kretz (R- Wauconda), and Short (R-Addy) resulted in several amendments that improved HB 2107 and the impact it would have on Washington’s wolves and our Wolf Conservation and Management Plan(Wolf Plan). We are now supportive of Substitute House Bill 2107 as amended on February 27th in the House Appropriations Committee. Thanks to the efforts of all involved, Substitute House Bill 2107 has been much improved from its original form. While it still isn’t exactly as we’d like to see it, we recognize that this process requires that all parties yield a bit. And we understand the need for state legislators to look for solutions to the concerns of their constituents in regards to relative wolf density in northeast Washington and real or perceived threats to livestock. In its present form this bill is productive enough to have our support. We also strongly applaud the inclusion of a recommendation to evaluate poaching fines as related to wolves in this legislation. Poaching has been a critical factor in preventing wolves from spreading naturally across Washington; easing the wolf density in northeast Washington, meeting statewide wolf recovery goals, and opening up greater flexibility for wolf managers. A third party neutral mediation process is used along with the Wolf Advisory Group (WAG) in any update process for the Wolf Conservation and Management Plan. As the Washington Department of Fish and Wildlife (WDFW) works on updating the Wolf Plan as directed by this legislation, it must use the most current and best available science as guidance when looking at wolf recovery targets, zones, and metrics. The WDFW works to examine barriers to the adoption of cooperative agreements with ranchers and livestock operators designed to increase the use of non-lethal conflict avoidance measures, methods that have proven to be effective at protecting both wolves and livestock. Wolf Plan amendments must go through scientific peer review before being submitted to the Washington Fish and Wildlife Commission for consideration. WDFW will submit any proposed changes to the Wolf Plan to a review under the State Environmental Policy Act (SEPA). Any effort by WDFW or the state to revise Washington’s Wolf Plan should be conducted within a thorough public process that includes community and stakeholder input, as required by SEPA. Previously, the bill exempted wolf plan revisions from SEPA requirements. These amendments were negotiated in a bipartisan manner and passed out committee with only two dissenting votes. House Bill 2107 must still win approval from the full House and Senate, and survive final budget negotiations, before it is enacted into law. The Washington Wolf Conservation and Management Plan was developed and agreed upon by a diverse group of stakeholders; including ranchers, farmers, hunters, conservationists, wildlife advocates and both urban and rural residents. Though we are supporting Substitute House Bill 2107 in its current form, we still believe that the Wolf Plan is working. Our hope is this proposal can help increase the social tolerance for wolves in rural areas of Washington, increase the fines for poaching wolves (the significant problem that’s slowing their recovery statewide), and make the Wolf Management and Conservation Plan work even better for all stakeholders and for Washington’s recovering gray wolves. 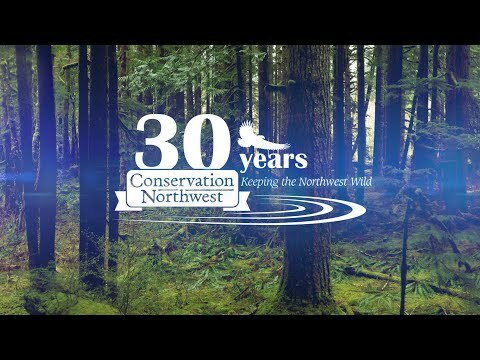 Conservation Northwest believes Washington can be the state where natural wolf recovery works in the long run; for people, wolves and all the Northwest’s wildlife. The bipartisan collaboration this session around this revised wolf legislation is an encouraging step forward in that process.